U.S. Customs and Border Protection officers at the Pharr-Reynosa International Bridge discovered 1,659 pounds of marijuana hidden inside a commercial trailer Monday. 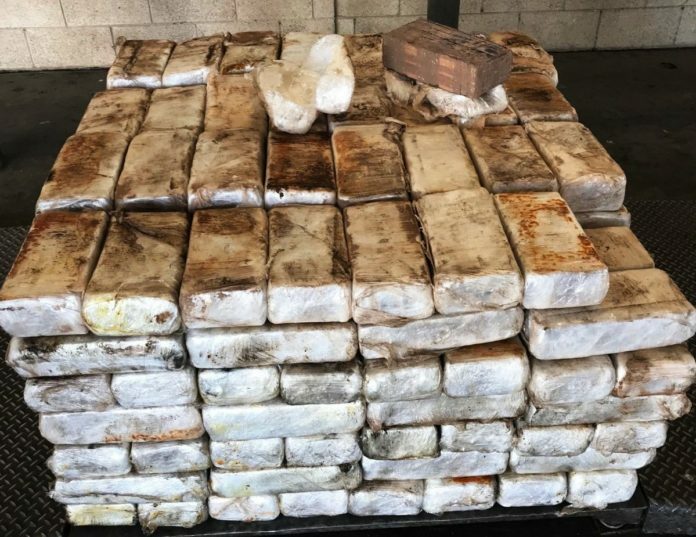 According to a CPB news release, approximately 430 packages of drugs were hidden inside the 1995 Volvo tractor-trailer coming from Mexico. The marijuana is valued at an estimated $331,800. The smuggling case remains under investigation by Homeland Security Investigations special agents. CBP agents at the bridge also discovered nearly 400 pounds of marijuana in another tractor-trailer crossing northbound Monday. The driver, who is a Mexican citizen from Rio Bravo, Tamaulipas, was taken into HIS custody.